Where does one start - how about this:- What a load of rubbish! To think what the BBC could have done to promote pigeons and pigeon racing in the UK and Europe and this is what they have turned out. Mostly old black and white film shot before some of us were even born. 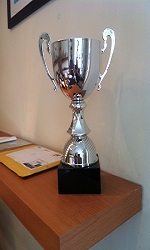 It had little or no bearing on pigeon racing in 2016/17. They could have shown some wonderful lofts of today and pointed out the BIG differences between the birds in our lofts and the 'flying rats' that live in and around the buildings of modern towns. I am just glad I don't have to pay for a British TV licence. I do appreciate that maybe it was an historical look back at pigeons and pigeon racing but even that wasn't done very well. 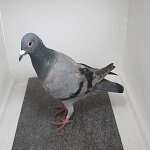 Yes, there were some good bits about how pigeons helped during the 2 World Wars but I just think that, in this day and age of the RPRA promoting pigeon racing and One Loft races, they could have done a bit more to highlight that part of our sport. 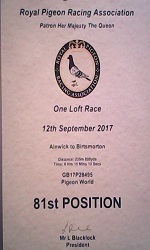 Not that I believe that One Loft races are the be all and end all of pigeon racing, because I don't. They said in the programme that you don't need to have pigeons or a pigeon loft to fly in the One Loft Races - can somebody explain that please! I don't think there is anything else I can say, except I was bitterly disappointed. Once again, well done BBC. Not.